I stopped by to check out the speakeasy (Boubon & Banter) on Saturday night. I'm not much of a cocktail person, so I can't really speak for how good the drinks were, but the place was livelier than I expected. Basically most of the seating space was occupied which means there were probably about ~30 people there. I left at about 9pm, and it looked like it was only getting busier, but not insanely busy to the point where you can barely move. I saw the restaurant with the patio space facing Main Street Garden, but it looked like it was pretty far from being completed. I think some outdoor activity would really help liven this area up. The entrance to Bourbon & Banter is pretty clever. You need to enter a code in a payphone before the door opens. DPatel304 wrote: I saw the restaurant with the patio space facing Main Street Garden, but it looked like it was pretty far from being completed. I think some outdoor activity would really help liven this area up. The 'diner' at the corner of Commerce and St. Paul is already open. I visited on Saturday morning, and it was quite good. The waiter mentioned that Scout (the larger, nicer restaurant) would be opening in 2 weeks (which seemed optimistic to me). I didn't ask about Fine China (the pan-Asian restaurant). While they're still working on the ballrooms on the second floor, the doors were open and I snuck a peek. Next time I'm inside, I'll take pictures. I was too excited, so I forgot to take out my phone. Last night I passed the Statler and noticed the DMN logo has been placed just above the Commerce side entrance to the ex-library. Guess it won't be too long before the Young Streeters have to start packing (although the brief peek past the window coverings gave me a not-quite-there-yet impression). This building is so awesome. I hope all of this redevelopment of old properties in this part of downtown sparks some great infill between this area and the Farmer's Market. It wouldn't take long to fill in that gap. ^Well, instead we are getting Harwood Park. Still not convinced that it's a good idea. Their plans look good, but b/c I spend M-F in this part of downtown, IMHO what we don't really need is another park 1 short block from Main St. Garden. Would rather see more in-fill. DallasMan wrote: ^Well, instead we are getting Harwood Park. Still not convinced that it's a good idea. Their plans look good, but b/c I spend M-F in this part of downtown, IMHO what we don't really need is another park 1 short block from Main St. Garden. Would rather see more in-fill. Totally agree... I'm all for parks, but this one is totally unnecessary. What we need here are more bedrooms, and people to fill them. While I agree that more infill is needed, I'm warming up to the idea of Harwood Park as it checks a few boxes for me. 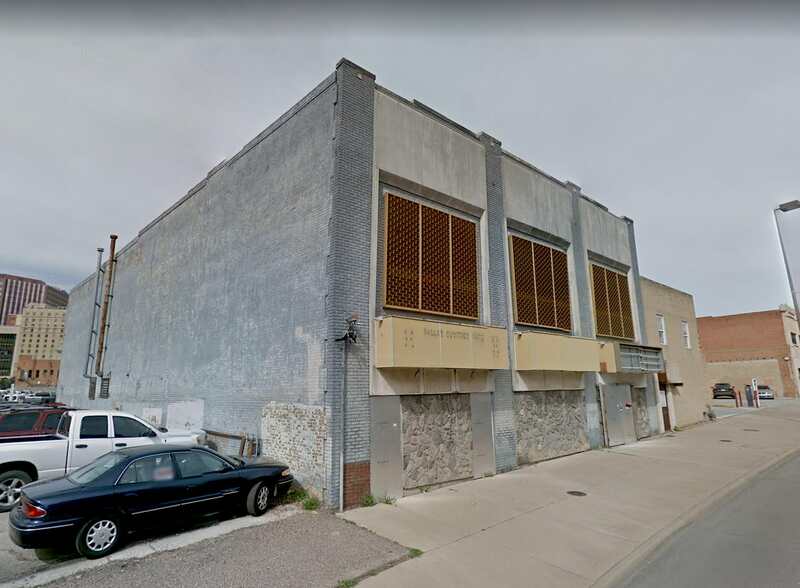 Unfortunately, the current plan calls for tearing down one building on Jackson. We'll likely have another thousand or more residential units nearby, so I'd say more parks will be necessary. If you live downtown, any park you can walk to is a well located park. I prefer an abundance of pocket parks, over big expensive parks. With all these awkward intersections between Farmers Market area and the Statler, it seems you could create developer friendly parcels, and then slice out little wedges for pocket parks along the way. Couple that, and the future Harwood Pedestrian Plaza (hey, we can continue to dream), and you have a setup far more functional than simply adding one big park that (let's not kid ourselves) is designed to benefit the immediately adjacent property speculators. We're known for being a concrete jungle (and I can see why), so I say bring on the parks. There is no shortage of space downtown at the moment, so I'm not trying to push for the best possible use of this particular plot of land. That design is pretty horrible. I would have thought they would have come up with something better. I agree with the commission. This looks like crap and doesn't interact with the street whatsoever. We as a city are investing in a park across the street, and this design really wouldn't complement or "speak" with the park. The first floor should be retail/dining that will face the park. Wide sidewalk, patio space for dining, and lots of glass to keep it open. Go with a mid-century modern look to complement the Statler. That's not expensive to do, and it will lease like hotcakes. Glass and terraces. It's not rocket science. After doing such a fantastic job on the Statler reno, I am surprised that they're proposing this turd. Yeah I expected better. I just read through the Landmark Commission docs and I see where the architect pulled design elements and materials from. I agree with the concept of picking a style and running with it instead of what appears to be too many things trying to find a bland middle. It would be easy to blame the historic district requirements here but I think the problem is more than that. We have seen what developers build when they have less requirements and its some of the same except with more stucco. Seems like they just took an out of the box basic apartment building from any booming urban neighborhood in Dallas and slapped on the required materials. The site demands a unique responsive design. It doesn't have to be Opera house impressive just better than generic brick/stucco multi-family cardboard box. As far as the ground floor retail space goes just make the ground floor units into Live/Work units. One day when Harwood Park is open and the people are there that would patronize said businesses they can easily be transitioned into leaseable retail space. Artists could be the target for now. Artists in residency for the Hotel programming. hjkll wrote: Holy crap what a piece of suburban junk. I wouldn't go so far as to call it suburban but it's really not great looking. But this is from the firm that designs the new la quintas around the country so i'm limiting my expectations. 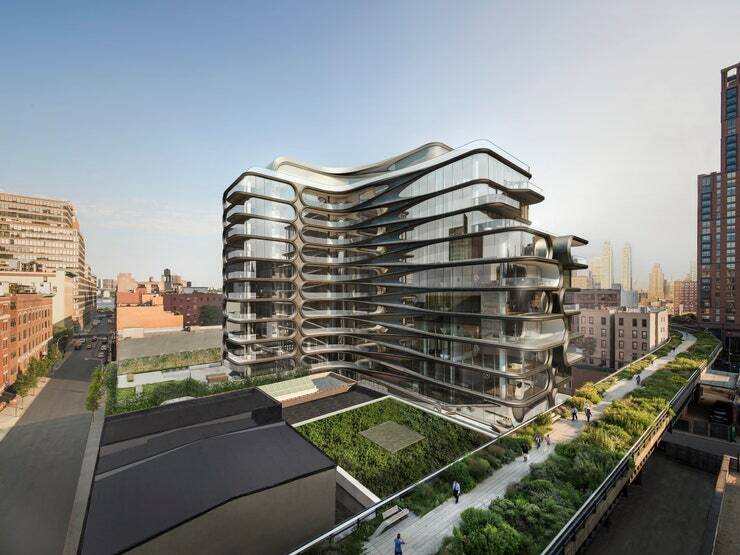 I don't believe that this is so bad and not every single project has to be such a wow starchitect building. I would rather see more people living downtown and in this area than get too caught up in exactly how it looks. The more people the better in turn can support more stores and restaurants in the downtown area. Yeah, I think if they change the materials to stone and/or brick, add a more significant primary entrance, and improve the interaction with the street by some small bit, I think this would be a solid project. Not the greatest thing ever/iconic, but solid. Does it even have retail space? They should at least build in mind for future use. Also, easy on the stucco. Even a passing reference to mid-century modern would be a nice touch, considering the building it is next to. willyk wrote: Even a passing reference to mid-century modern would be a nice touch, considering the building it is next to. I agree. I think it'd be pretty cool if this became almost a district (not counting the existing structures, obviously) of midcentury modern-inspired buildings. Why can't dallas build apartments with some more exciting architecture? It seems like this is the most apt spot to really try something fresh. Sandwiched between the energy of the EMC and the energy of the farmers market. It's truly prime real estate! Attached are some new designs/buildings in DC and around LA that i find inspring. Does anyone have info as to why dallas isn't there yet? That is possible even with their Historic restrictions which are mostly about materials and design features that don't necessarily stop that kind of innovative design. Things like brick color or use of brick in the final design. Something the board mentioned was a pronounced entrance. Most of all the buildings in the district have a fairly obvious design that focuses you on the main entrance. That's easy to accomplish without dulling the design or being forced to building something that looks like the Old Municipal Building. Apartments can easily do these things while living outside of the stucco boring box. 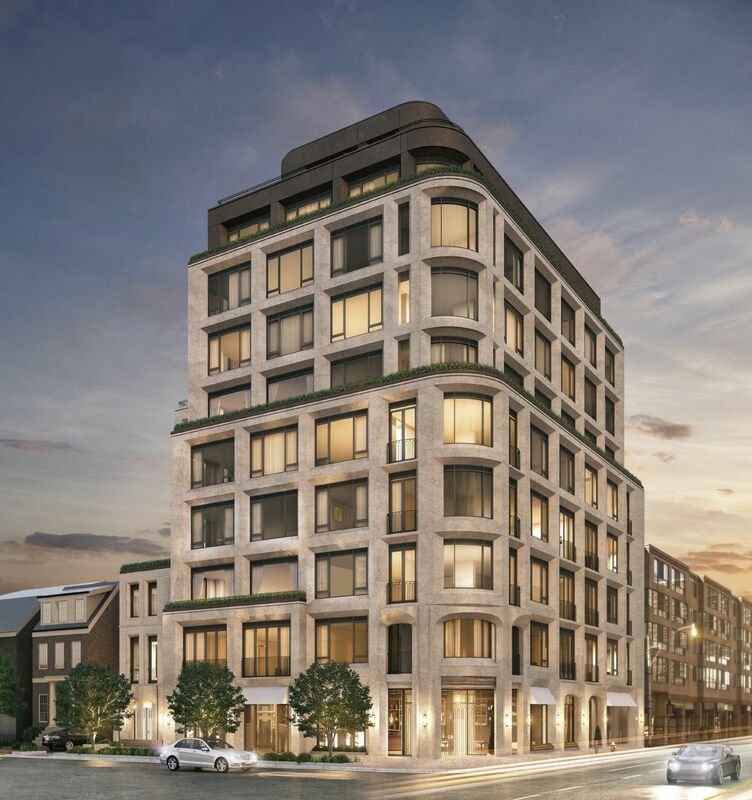 What would have to happen is a developer that sees such innovative design as a contributing part of their overall property vision. It seems that our developer loves restoring two historic buildings that broke design ground but when it's their chance to contribute they want something that really just fills in a hole. This design is just a run of the mill plug for a parking lot. I would bet that a decent part of it is their strong development restrictions. They have little construction, which leads to high land and housing prices, and then strict zoning compared to that demand, which leads to those very high prices being in expressed in a relatively small structure. So it makes sense to make anything that does get built is very high end and puts significant budget to design. The fact that Dallas developers can build a ton of units and build marginally profitable developments keeps housing prices in check. But it also means that you're going to see a lot more projects with uninspiring design. As someone who currently lives in the Bay Area (which has the same issue of generally quite attractive designs but very few projects esp relative to demand and $$$$$), I can tell you that that's a trade-off I would take any day of the week. buildingswithlegs wrote: Why can't dallas build apartments with some more exciting architecture? It seems like this is the most apt spot to really try something fresh. Sandwiched between the energy of the EMC and the energy of the farmers market. It's truly prime real estate! I dislike all those buildings. hahaha To me, every one of those looks like part of a shanty town, constructed from materials found in a junk yard. Each of those examples are absolutely horrid looking. These are the kinds of repulsive eye sores why people generally loath modern architecture. What I would consider inspirational for this part of town is architecture similar to what we've seen sprout up along the Highline in NYC over the last few years. Either of these could enhance the neighborhood, IMO. KTown in LA. Something like this would be nice next door. Here is the copy for the Statler from the Curio site. Can you believe people almost tore this building down? “In a landmark Downtown building, this hip, upscale hotel dating from 1956 is a 7-minute walk from the nearest DART station and a mile from the Kennedy exhibits at the Sixth Floor Museum at Dealey Plaza. Vintage-chic rooms have free Wi-Fi, smart TVs, minibars and Nespresso machines; upgraded rooms offer sofas and city views. Suites add wet bars and separate living rooms. Room service is available 24/7. mdg109 wrote: Dallas Morning News. Looks good. I do wish they would have made the Dallas Morning News lettering on the front of the building larger though, it is very small. Does anybody have an update on what they plan to do with the "Rock of Truth" inscription at the current DMN HQ? It truly is a gem, and more relevant than ever in these current times. It would be a shame to see it demolished, as would that entire 1940's facade at the current HQ. Maybe they could move the inscription to the new park going in the area south of the Statler? Or Main Street Garden? Before they hinted that something would become of the Rock of Truth but I wonder if their plans fizzled out. I assumed they may find a way to at minimum take the stone words down and incorporate it as art into their new HQ. Brought down to a level where people can touch the words like a lot of Washington DC monuments seemed like a wonderful idea for somewhere in Downtown. cowboyeagle05 wrote: Before they hinted that something would become of the Rock of Truth but I wonder if their plans fizzled out. I assumed they may find a way to at minimum take the stone words down and incorporate it as art into their new HQ. Brought down to a level where people can touch the words like a lot of Washington DC monuments seemed like a wonderful idea for somewhere in Downtown. If the Dallas Morning News doesn't take it, it may end up in the city boneyard with the Titche's cartouche and other forgotten architectural pieces. The building itself isn't protected or in a landmark district. Just announced: The chef at Fine China will also head up a new ramen restaurant there, to open next year. It will be small (25 seats), and so will be the menu also. The writer of the article says that the DMN folks are moving in now to their spot in the complex. The DMN space now also has an LED ticker display, visible at the front and side of the main floor, along the top of 2 walls. I didn't get a pic as I was driving, but it's currently showing a welcome-to-our-new-space message. I'm sure it could be used for crawls of news-bits, similar to what has been done on the sides of buildings in Times Square in NYC in the past. I went to the breakfast spot, Overeasy, a couple weeks ago. The place is designed really nicely, but the food was pretty average. Not terrible, but nothing that really blew me away. The staff does wear bolos as part of their uniform though, so that's a big plus. exelone31 wrote: I went to the breakfast spot, Overeasy, a couple weeks ago. The place is designed really nicely, but the food was pretty average. Not terrible, but nothing that really blew me away. The staff does wear bolos as part of their uniform though, so that's a big plus. The brisket hash is quite nice, and their price points seem reasonable (to me). The price points are what I was concerned about. The last thing we need is a breakfast spot this spends like a Dallas valet restaurant. I've heard that City Hall Bistro at the Adolphus is also reasonable as well. Neither is a Denny's or Cafe Brazil but they are better than what we had. Cindi's near Dealy Plaza can pick up the slack for those who want just a greasy spoon. It's funny, the brisket hash was exactly what I had. It was decent, but had a duck hash the next morning at CBD Provisions that blew it away. That said, I'm really excited about the Statler's redevelopment and will continue to check out the new spots that open up. I really like the vintage vibe they've got with the classic cars parked out front. Apparently the DMN has completed its move to the former Library section. One of the questions surrounding the move was how would the Rock of Truth quote be represented in the new location, if at all? A 'replica' was decided upon, a display inside the building (not an actual rock etching like the original on Young St.) on a back-lit LED panel with attached aluminum letters making up the quote. So the Rock of Truth made the move, just not on the rock it's been displayed on for decades. And thus Belo is absolved from any duty to preserve the real Rock of Truth. This is a very poor solution. Sad day if the original is demolished.